This is not an album of music. It is a productivity tool. It will help you focus intently on any task. Use it for work, studying, reading, driving, or just relaxation. Music to Code By is scientifically designed to quickly get you into a state of flow and keep you there. 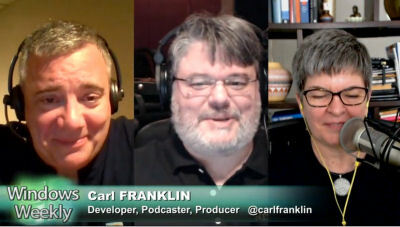 Carl Franklin (@carlfranklin) software developer, musician, producer - came up with the idea to produce Music to Code By after interviewing Mark Seemann on his (Franklin's) podcast, .NET Rocks! about the challenges of minimizing distractions when developing software. Software developers work best in a state of Flow - completely in the moment, getting constant feedback, seeing goals a few steps ahead, and almost disconnected from the physical world. It wasn't a new idea, but it was new to him. In August, 2014 Franklin launched a Kickstarter Campaign to see if anyone was interested. He blew by his $7500 goal and raised $10,000 in 30 days. In February, 2015 he delivered the album: three 25-minute instrumental pieces designed for focus. After producing the first collection, he went on to create several more tracks, and is currently producing them at the rate of approximately one per month. Franklin chose 25 minutes to coincide with the Pomodoro Technique of time management, popular with developers today. He also chose a "groove chill" approach. Real instruments combined in loops with melodic licks placed on top. The pieces change enough to not be boring, but not so much as to demand your attention. The first piece, Blue, is at 60 BPM (beats per minute) and the other two, Orange and Yellow, are at 80 BPM. According to research, music between 50 and 80 BPM is perfect for helping you focus, letting your brain generate those wonderful alpha waves. Why not just find real music that fits? Good luck. Most music is designed to grab your attention. Most music is dynamic. Finding pieces that fit this criteria is almost impossible. That's why there's Music to Code By.